Custom printed titleblock - GS Direct, Inc. These blank heavy weight binding strips are great for holding sets together! 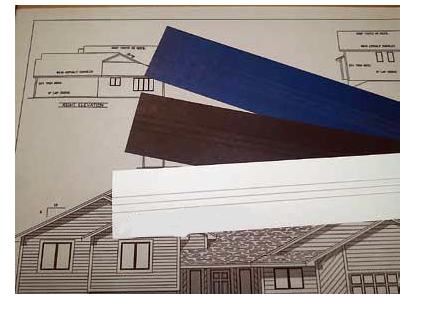 Made of 125 lb tag stock, each strip will accommodate up to 150 sheets of 20 lb bond. Each strip is triple scored to give you a choice of widths for smaller sets. Simply fold over end of prints and staple together. Available in 18", 24", 30" & 36" lengths. Sold 1000 strips per pack. Available in blue, black & white please specify color. Like to add your Company Name or Logo? Custom printing is available. Click below link or call 1-800-234-3729 for details!